Remember when we almost landed Lamar Jackson? Yeah. Had a real chance with him before the change. Hate to not get them all, however we got some good ones the last two seasons!! Overhyped? I would hope he would be the starter over TA. The ceiling for TA was already hit. That is why 8-4 is the ceiling this year as I see it. And by semi-shut down you mean his Heisman hopes will be solidified? The new staff didn't want him. Doesn't fit what they are trying to do. they will shut him down in the 4th when his back up comes in for clean up! Kids the real deal. Wow I didn't know that. Who/Which coach was recruiting him? Did he want to play in Lincoln or was he always Louisville? And who else was on his list of top choices? He committed to Louisville before the 2014 season but took a visit to nebraska in the fall and was in play. The firing in November put that to rest. I'm on phone but will try to send link. You are so hit or miss, Matty. Sometimes your posts are insightful and weLloyd thought out and then some are like this. What has made you think he's not the real deal? The fact that he's not a husker? His HS coach is friends with a coach from Louisville. The only team that had a chance to flip him was Florida. When they got rid of Will Muschamp, that was the end of Florida being a consideration. Is that why he visited Florida 3 months after muschamp was canned? He was very much in play. He took a visit there because McElwain asked him but his coach came out and said Florida was out of it after they fired Muschamp. Nah, too much running. Too much "one man show." Not diverse enough in the attack yadayadayada. Petrino, as much as it pains me to say it, really knows how to flex his system to what he has. Man it was an opinion that he may change after todays performance. however, where does the husker comment come from? I understand Caveman. I still think 8-4 is realistic. Excited for TA. Maybe he will have a good Senior year. Hope so. FWIW... I think we start 7-0. And I think we'll be lucky to win 2 of the final five. He's not crazy. No one called him crazy, just maybe not the best at predicting the future. 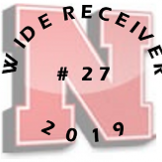 If we could pick up a Deondre François or DeShaun Watson type of player who is pass first and can pass with the efficiency of pocket guy but has a threat to take off as well, I say sign them up! "We don't want to have all the same guys," he said. "I think we've shown that with our history, and then with Tommy (Armstrong). We've evolved. We can go either way. We're going to always tweak our system with the players we have." Nebraska can have quarterbacks with different styles without having to dramatically alter its system to fit whoever is leading the offense at a given time. "I think you have a system, and you've got some different ways you can tweak it," Langsdorf said. "You're going to have a base foundation. We're going to have the same terminology." That said, "We'll probably cater to a little different style of play (for) Tommy than we would (for) Patrick (O'Brien) and Tanner (Lee)," the coach said. "We're not just going to throw it all out and start over. But we've got a lot of ways to kind of cater to the type of guy we have." Wilson, the kid who chose Oregon over us is now considering other options. Just read that in The Oregonian. Oregon is looking at Bama transfer Blake Barnett and has been starting a TFr QB the past couple weeks, so he may be seeing the writing on the wall. Does anyone think that we would still be interested? The staff came out and said that they might want to add DT QBs in the future. If you're a HS QB I don't know why you would consider Oregon as an option unless you're a huge fan. 3 transfer QBs in 3 years would be crazy and speaks to a lack of development. Could also speak to the fact that they had trouble recruiting/retaining QBs because guys didn't want to sit behind a three year starter and Heisman trophy winner. I hope the staff would be interested. Wilson would be a good option to compete with POB and Gebbia after Lee leaves (or if Lee is ineffective as the starter). Eh. I can see that a little bit but our past 2 QBs have been 4 year starters and I feel having a recent Heisman winner would help their case not hurt it. Anybody they recruited in Mariota's second year knew they were going to redshirt. Give me 6 QB's. Most important position in football let's get the best there. If you have a really special QB it can make a team. I feel like we should never have less than 4 QB's. take one each year and put on scholarship redshirt or not so technically have 5. I'd be perfectly fine with that given our amazing QB depth the past 6 years after QB1 has gone down or played injured and not performed to normal abilities. People who say this actually expect 5 QBs to stick around when they're not starting... that just doesn't make sense, to anyone. Yep. If you can keep three scholarship guys and a walk-on or two, you're doing pretty well. I believe Alabama currently has one scholarship QB on the roster. there are 4 quarters in a game. we are nebraska and we should be ahead by enough to give 4 qbs reps in every game. 6 QBs on scholarship is too many. You need to be redshirting one each year and have 3 ready to play at the start of the season with a walk on able to run a core of basic plays in an emergency situation. The state of Nebraska should produce atleast one QB capable of filling the role of the walk on player each year. If we stagger them out, then once you have a walk on and four scholarship guys that figures one scholarship recruit each year of a high caliber should be sufficient. ideally, you would have a junior or senior as your starter each year and a sophomore and junior backing them up in the 2 and 3 spots. The order is not critical of course but all three MUST be ready and able to play the position in 'winning' fashion. Your backups are not just 'mop ups' and if they are not good enough to play winning ball in your offense as it is intended and designed, then the coach needs to make changes. Move guys to other positions or encourage a transfer out if they are just not ready/able to be prime time players. Callahan was criticized mightily early on when he 'disbanded' some argued the walk on program by dismissing a bunch of guys shortly after he was hired. The reason was simple. There were 30 or more walk ons and a few scholarship players who were NOT anywhere close to D1 players. I knew of a couple individuals who shall remain nameless that were let go that attempted to walk on at small colleges and were unsuccessful, even at the NAIA level. Those guys had no busines using up coaches time and taking up roster space if they were not D1 athletes at all. If we have some of those types now, Riley and staff need to have serious sit downs with each and tell the truth. It is wrong to let them go on toiling and working with any misconceptions or dellusions of granduer. Of course there will be some drop off from starters to back ups to thirds and fourths but that drop off should not be so significant that the entire team's ability to win most of their games is in jeopardy. Depth is not just names and bodies on a roster sheet. They are serious players who are working their tails off to win the job and not ride the pine as additional cheerleaders and clip board holders. I think it's probably fair to recruit 2 QB's per class, and assume that one of them is going to transfer after a year or two. That way, you are better prepared for guys transferring and are replenishing the QB group with a couple guys each year. Of the 72 quarterbacks who signed with Power 5 programs in 2013, 59 did not finish their collegiate careers with the team with which they signed. So in the past 9 classes, we have had 9 scholarship QB's. The QB situation at Nebraska seems to be in line with what we see nationally. Most football positions see a rotation to some degree, but outside of injuries or blowout victories, backup quarterbacks almost never see the field. I can easily understand why it fuels a desire to transfer. To Matty's point, it's not shocking, but seeing the statistics is certainly interesting. I maintain that we should be playing more than one QB so we are not finding ourselves in the messes we've suffered through when dealing with injuries (major or minor) to our starter. This year was a glaring example of the problem this presents but certainly we've had similar situations in many recent seasons. The 'starter' rarely makes it through a season unscathed and his backup must be ready to go on a moments notice. I would submit that we won't see so many transfers if there is more than one QB with a legit chance of significant playing time and the opportunity to demonstrate why he may be the better 'starter'. It is quite common for players (it sure used to be anyway) to be listed as 'co-number 1s' on depth charts and to get plenty of snaps in either situational or 'platooning' cases at most other postions. The QB is the single most important player on the team, according to most commentators, and it seems just ludicrous that far too often teams go from being very good to mediocre if the starting QB goes down with injury or whatever. This is ridiculous. You said the QB is the single most important player on the team and you want to rotate them? That makes zero sense and is quite frankly a stupid idea. I see what you're saying but quarterback has always been a different breed because it's the most important position on the field. Everything flows through him and that's usually why they almost always play. Playing two quarterbacks jostles the timing, communication between the center, the line, everything. You put the overall success of your offense at great risk by trying to ensure you have two quarterbacks ready to play. I don't think you'll find many head coaches who want co-numbers 1s. In the 15 years I've been closely watching college football, I've seen far more two quarterback systems fail than I've seen succeed. They can work but it's uncommonly rare. It's also uncommon to have coaches who can plug in a quarterback and not miss a beat (see Belichick/Meyer). Oh absolutely. 2 QB systems are generally thought of as a terrible idea. The most recent example? tOSU last year, when they rotated Cardale and JT. No flow to their offense. This is the main reason why I'm even hesitating about the ZackCat offense for next year. It can sometimes absolutely ruin the flow. It's also insane the way BB has been able to plug QB's in for NE at times. I am excited for Brady to retire, to see if he can continue that. Nebraska seems to be taking its time with the evaluation of new quarterback targets, and that isn’t out of the norm considering Danny Langsdorf’s history. It’s been about two weeks since Colson Yankoff committed to Washington. He was undoubtedly one of the top quarterbacks on NU’s board, but the Huskers haven’t rushed to extend scholarship offers to other passers. Nebraska has offered nine quarterbacks in the 2018 class, but no offers have gone out since the fall. The evaluation period will kick off April 15, the same day as Nebraska’s spring game. 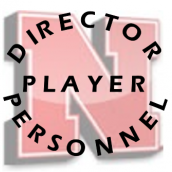 Expect Langsdorf to hit the trail hard as he looks to identify the next signal caller he will try to lure to Lincoln. And in the past, the spring of quarterbacks’ junior years or the summer before their senior year has been when Langsdorf finds his guys. Prior to Tristan Gebbia, who was identified relatively early, no other high school quarterback Langsdorf signed in the last decade — including at Oregon State — was offered before the spring of his junior year. All in all, we've had a pretty terrible run of QBs. I mean that with all due respect to Taylor Martinez and Tommy Armstrong. They were fine QBs given their running skill set, but their passing (and ability to throw accurately) left a lot to be desired.